University of Limerick Students’ Union has launched a new hardship support service for students experiencing extreme financial difficulties. The new service, which includes a textile and food bank, is also environmentally friendly, helping to reduce waste among students and staff. A student hardship fund already exists offering financial support to those most in need, however, those working at the frontline of the service identified the related issue of food poverty as an urgent concern not currently being addressed. “It came to our attention that quite often students leave it to the last minute to seek financial assistance without realising that the application can take a number of days to process. At that point, students can sometimes have absolutely nothing and indeed not have eaten. With the help of donations from our on-campus students and the financial aid committee, we decided to create a food pantry here in the SU, with non-perishable foods in order to help students through this time,” explained Adele O’Carroll, head of facilities, supports and services with ULSU. 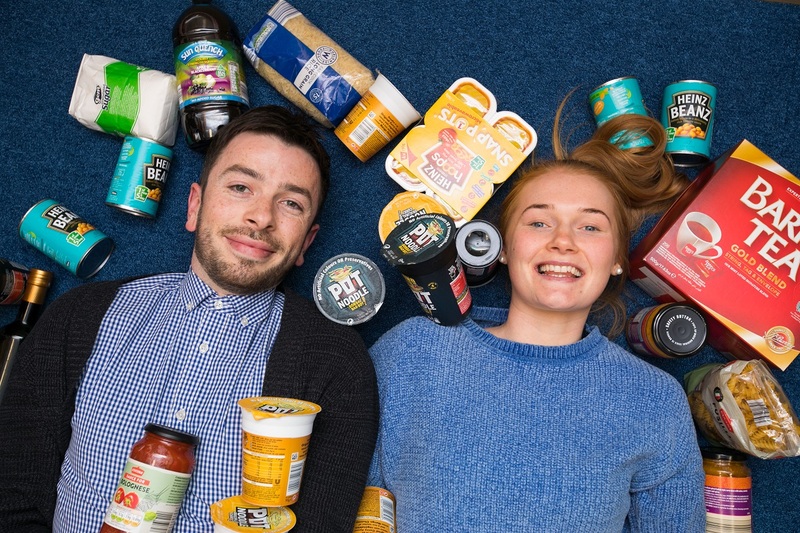 In December, the accommodation office on behalf of ULSU, accepted donations of non-perishable food, clean bedclothes and blankets from students not returning for the second semester, including international students and UL students taking part in study-abroad and cooperative-education programmes. “With these items, and others bought through the hardship fund, we have set up a food pantry as well as a bed-in-a-bag offering for any students needing to avail of the service. So far we have had a really positive response from students donating items as a means of helping other students who find themselves experiencing real hardship,” Adele said. “We are currently accepting donations of sealed, non-perishable food items, clean towels and bedding and financial donations to the student hardship fund administered by the financial aid committee. Unfortunately, this is a very real and regular need for many students,” she continued. This initiative comes just months after the students’ union introduced another environmentally and socially conscious campaign whereby it installed water filling stations in the Students’ Centre providing chilled, filtered water free of charge for use by the entire campus community, saving students the cost of purchasing bottles of water and also reducing plastic bottle waste. For further information on supporting the student pantry or Student Hardship Fund scheme, please email: SUreception@UL.ie.